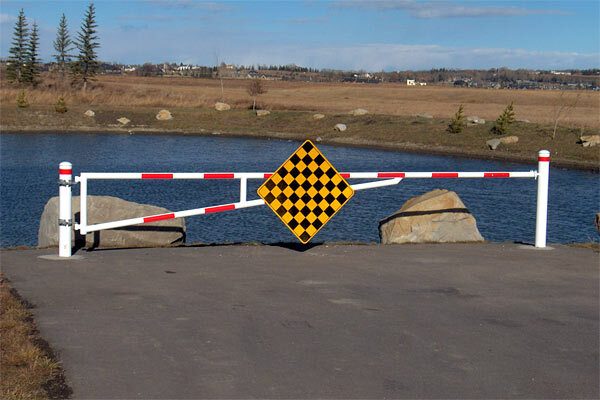 Available in several different sizes, these gates can accommodate most situations where vehicle or pedestrian traffic needs to be controlled. A hitching post allows the gate to be locked in an open or closed position. 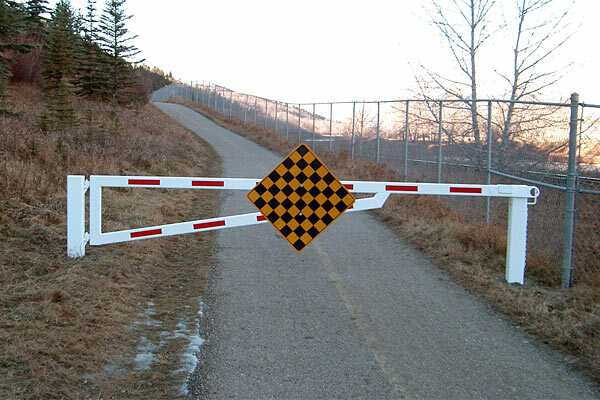 All entrance gates come standard with reflective tape and an optional checkerboard design for added visibility.